Ever felt like God doesn’t hear your prayers? With the release of Substance Input/Output’s new video for Surgical Love, I’ve had a lot of people ask me, “What motivated the metaphor?” After all, “surgical” isn’t exactly a popular adjective for God’s love. (And if you haven’t seen it, click here). I actually wrote the song in a season of my life when I was feeling particularly discontent. And perhaps you can relate? As many of you know, I’m an obsessive song writer. I’ve written a new song almost every week for the last 20 years (which is a lot of songs). For years I longed to be able to publish my music on a grand scale. But, despite my best efforts, nothing was happening. Of course, there are always people to whom success seems to come easily. During that same season, I watched a lot of lame and inexperienced songwriters get huge opportunities – opportunities I was longing for – yet these rookies only logged a small fraction of the time. At times, it almost felt unjust. Could that really be my problem? Looking back, my focus was on ALL the wrong things. My prayer life was fixated on ALL the wrong areas. So, how can you know if you have a similar problem sabotaging your dreams? Simply look at your prayers. If your prayer life is obsessed with circumstantial things – opportunities (or people who you think are restricting your opportunities) – it’s a good chance your heart is out of sync with God. Don’t misunderstand me: God doesn’t ever want you to EARN his love. Your character matters not because God will love you more but because it gives us the ability to handle more blessings without the temptation of worshipping them. But here’s the truth: “the sorrows of those will increase who run after other gods.” Psm 16:4. When we obsess over circumstantial happiness, it’s often a sign that we are finding our joy in the wrong things. Essentially, it’s idolatry in its most basic form. At the end of the day, “[Your] soul finds rest in God alone.” Psm 62:1. Quite simply: God loves us too much to answer our prayers when we’re not ready for such things. But how to we sign up for this surgery on our souls? Well, like most surgeries, we need to allow another individual to inflict a necessary pain on us; and we need to allow people to bench us until the proper time, ie. commit our lives to Godly mentors for an inconvenient amount of time. Over the years, I’ve had a lot of people ask for mentoring but never really listen to me. ie., they got “surgery” but then wanted to go running the next day. When things didn’t turn out, they became bitter and blame-oriented. I cannot even begin to tell you how many times I almost offered certain people the opportunity of a lifetime; yet, after seeing their impatience and attitude, I felt compelled to withhold my promotions. Now, I won’t even “do surgery” unless I know they have the faithfulness to truly listen. You see, we all like to imagine ourselves to be teachable. But as my friend Matt Keller says: “Teachability is the ability to relearn that which we already know.” Or to put it another way, teachability is the ability to go through the counter-intuitive humiliation of submitting to someone else’s coaching and process. “But I know things!” you exclaim! “And my leaders don’t always see what I see!” Perhaps so. But talent isn’t a rare commodity to God. The world is filled with brilliant and talented people who live in denial of character blind spots and demonic idealism that is constantly undercutting their potential. So, if we really want to put ourselves onto the fast track of God’s Promotion, allow your Godly mentors to over-ride your instincts for a significant period of time. In fact, I am convinced that much of my success came because I stayed plugged in to a singular church for around 10 years. You see, longevity creates intimacy. And intimacy reveals blind spots. And when mentors confront us, we either run to another person or church (& start the intimacy process all over); or, we trust God to forge us and promote us at the proper time. “But what if my authorities are wrong?” Well, the Biblical pattern is that God will supernaturally convict them, remove them, and/or supernaturally work it out for our benefit. When God teaches us to honor and submit to mentors, it’s not because those leaders are honorable or smart. It’s because of what honor and submission does in us. And God always pays us back when people hurt us. In the end: “No one from the east or the west or from the desert can exalt themselves. 7 It is God who judges: He brings one down, he exalts another” Psalm 75:6. Dishonor, job shopping & church hopping usually only slow things down. 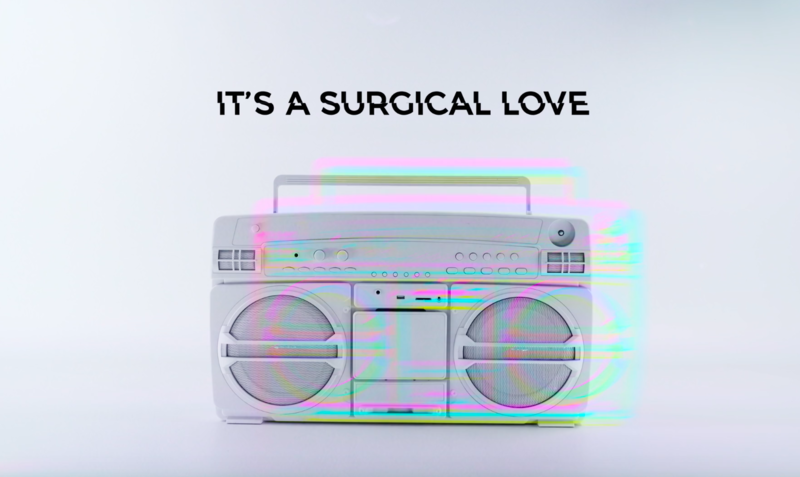 Surrender to God’s surgical love. Let him speak to you through the painful submission of mentoring. And Promotion will stalk you the rest of your life. Ps. If you haven’t pre-ordered the I/O album yet, click here to get 3 early bonus tracks (including Surgical Love); and, if you want to come to our album launch concert Oct, 5-7th, click here!